1 morbidly beautiful | This Blog Rules | Why go elsewhere? Lake Natron Turns Animals into Stone? Not Quite, but it’s Still Stunning. 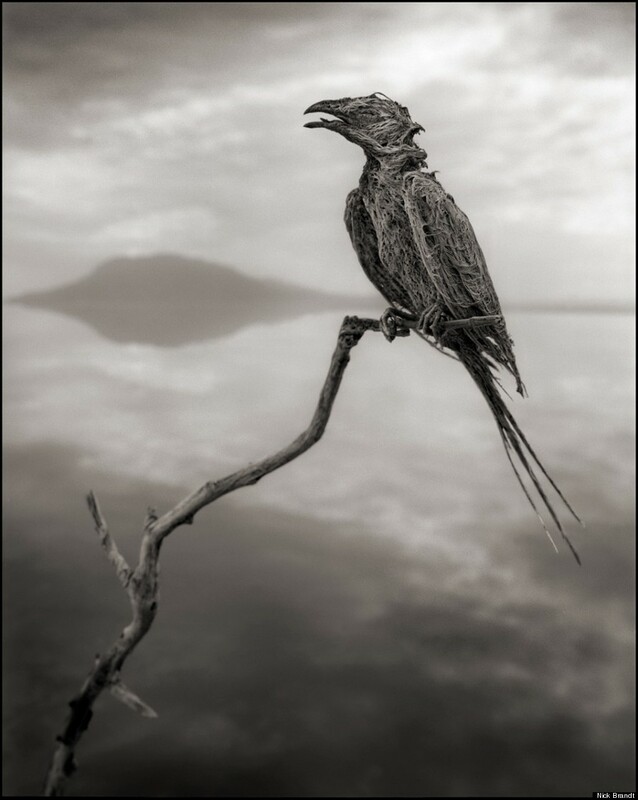 Have you ever heard about Lake Natron? 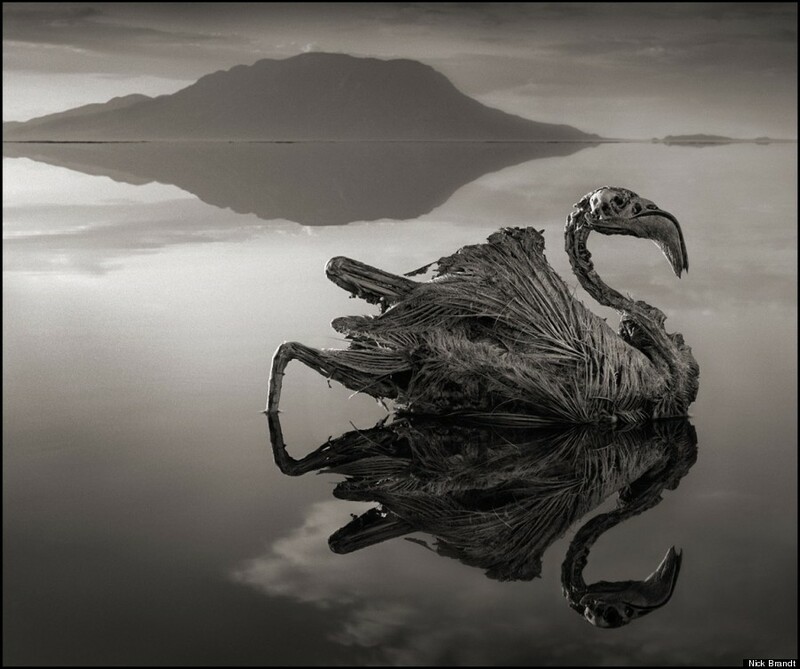 It is one of the most serene lakes in all Africa, but it is also the source of some truly eerie photographs. You might have seen them circulating on the internet, and if you didn’t, we will share them with you. 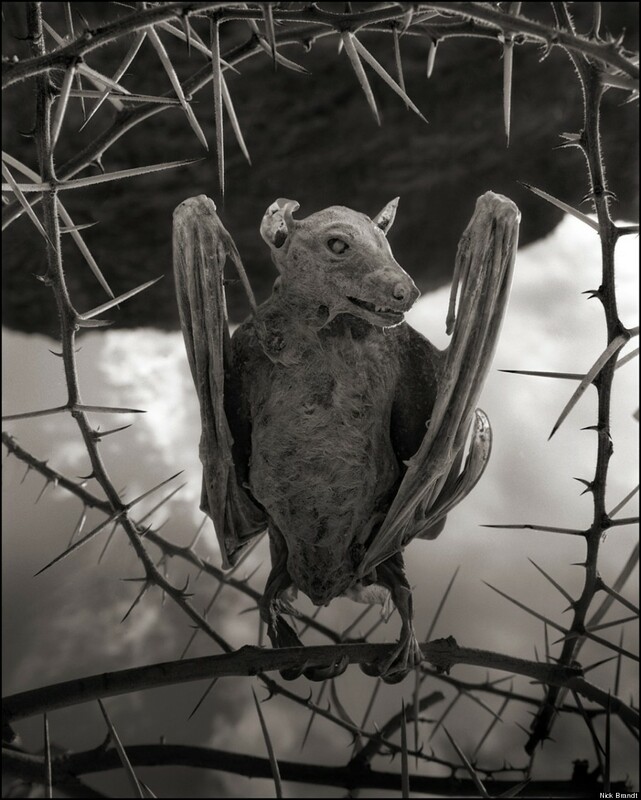 Lake Natron may be beautiful, but it seems that it holds a deadly secret: it turns animals that touch it into stone. Ok, it’s not really stone, but something very similar. The internet has a funny way of taking a story and transforming it into something completely fake, so before you read on, we urge you to check out this article, where the process of preservation and the ecosystem of the Natron Lake is explained. The stone that we were talking about earlier is actually a chemical process to which the animals were subjected (much like Egyptian mummification). 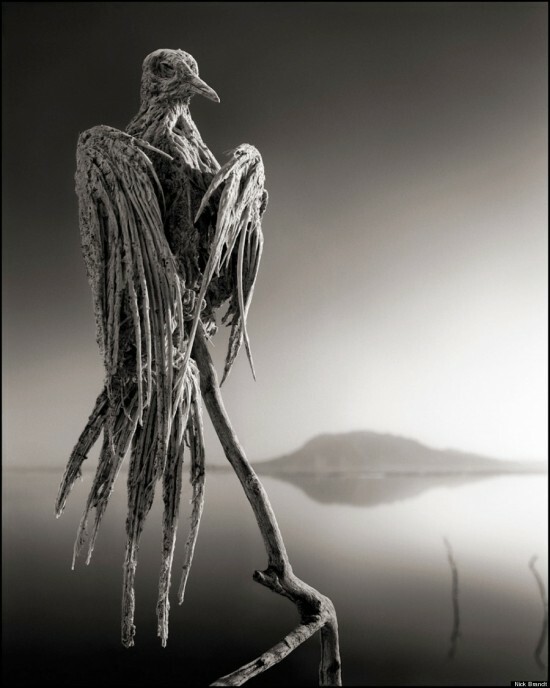 The calcified animals were found by National Geographic photographer Nick Brandt, who supposedly found the dead animals floating around in the water, or washed up on the shore. The lake, with its incredible properties (which can be explained by its chemical make-up: the alkalinity varies between pH 9 and pH 10.5) has preserved these creatures. 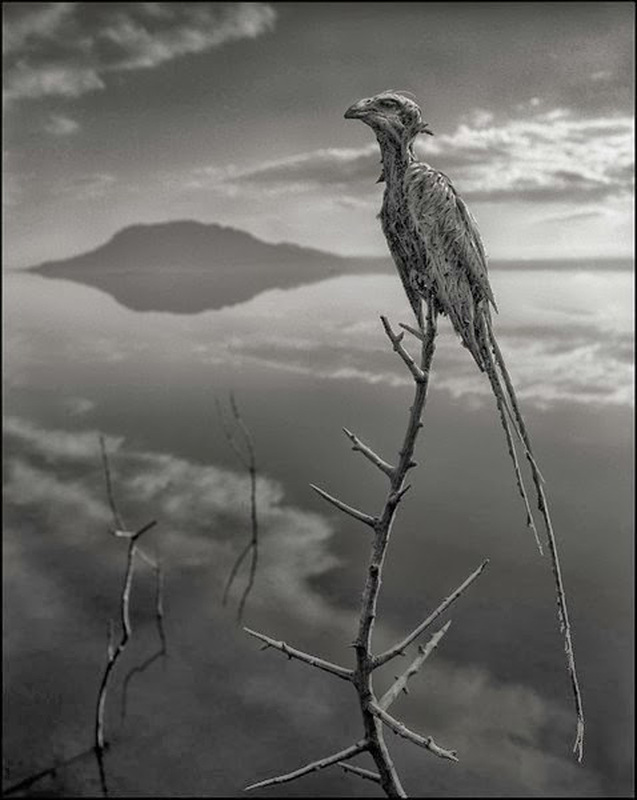 Let it be noted, however, that Lake Natron’s harsh conditions do no turn any animals that touch it into stone, but only the ones that are not adapted to them. There are still plenty of animals that did not have any problem venturing in its waters. As a matter of fact, the people living near the lake have reported that certain birds and bats have actually crashed into the water (probably confusing it with the sky), and probably died from the crash. Furthermore, as morbidly beautiful as Lake Natron’s mummies can be, they aren’t truly calcified, but rather coated with a sodium carbonate or bicarbonate solution. 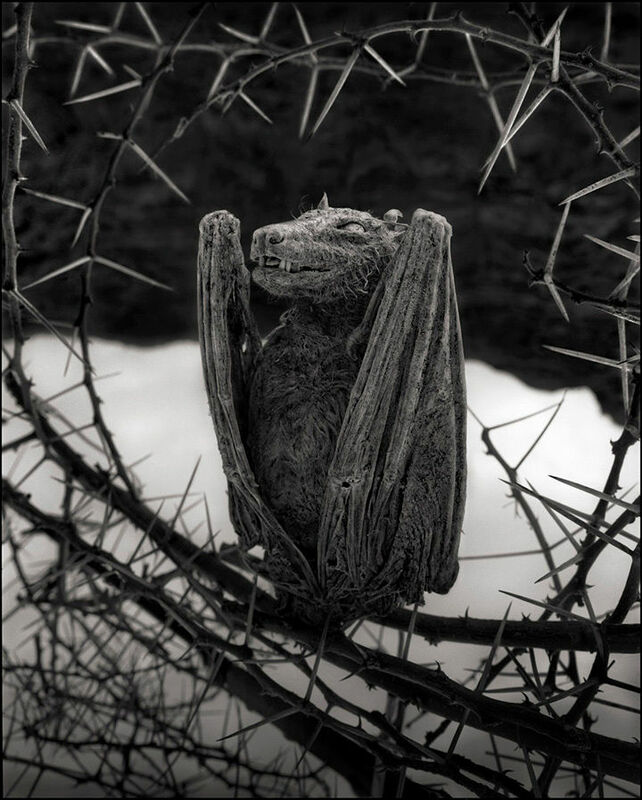 This 2012 portrait of a calcified bat, from Lake Natron isn’t actually the stone creature that people expected it. According to Jaimi Butler, of the Great Salt Lake Institute in Utah, the shoreline of the northern arm of the Great Salt Lake is littered with birds that are “pickled”. This means that they were encrusted in salt, and you could pick them up without altering their position. 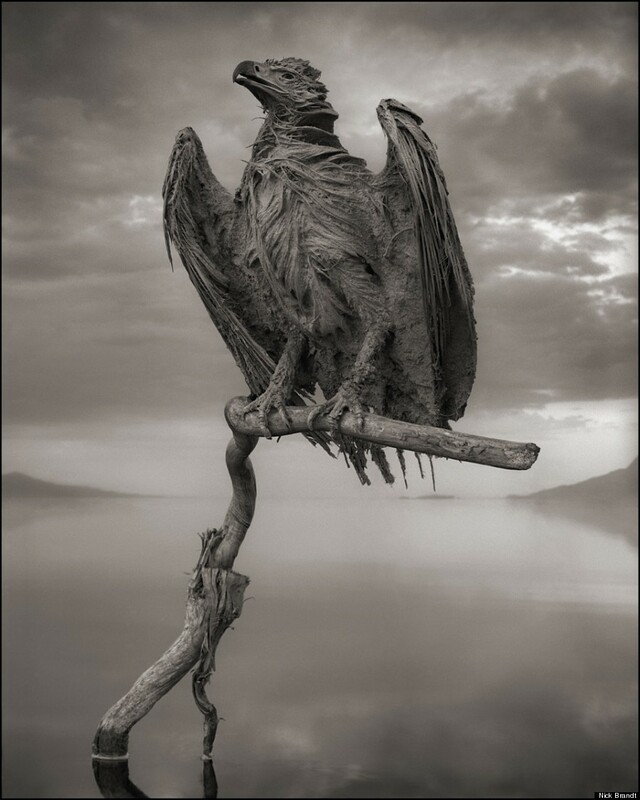 He also added that many healthy animals visit the lake and aren’t turned to stone, so the ones found calcified, are probably sickly ones that were preserved within the waters. Arguably the most powerful image in the collection, the Floating Flamingo, with its beautiful reflexion in the water (notice how perfectly clear it is), was taken back in 2010. Lake Natron is an important habitat for lesser flamingos (3/4 of the bird’s population uses this location for its abundant food supplies and as a breeding place). Brandt truly managed to bring this eagle “back to life”, by putting it in such a proud position. Another interesting piece of trivia about the lake is the fact that it is not only salty, but also extremely hot. Daily temperatures can reach even 40 degrees Celsius. In conclusion, the lake may not have turned anyone into stone yet (at least not instantly), but the animal mummies that it managed to create are still morbidly fascinating. These photographs stand testimony at the incredible things that nature can create.